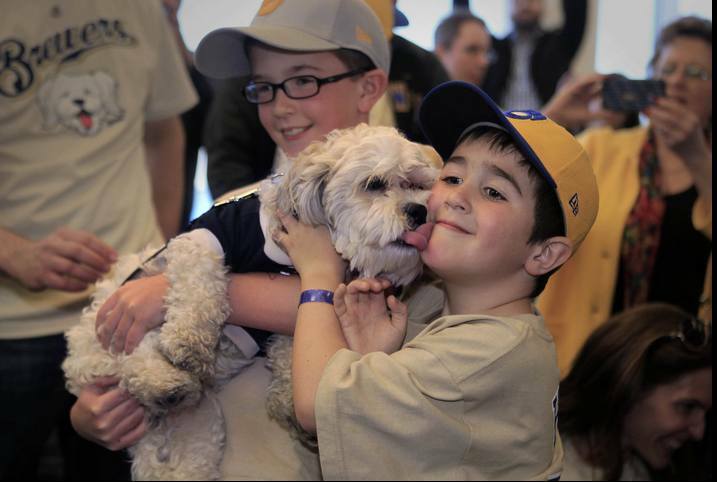 Top story o' the morning is once again about Hank The Brewers Dog. Tabasco landed in the spotlight yesterday. It's quite the hot story. DId you know we were in the salsa business once? Yep, way back in 1991-1992. Dear Friend Brad W. and I partnered and produced a great salsa. It was a successful, profitable business that we both voluntarily ended to preserve our lifelong friendship. Friendship is far more important than money! The next foodie item is a photo gallery of "rodeo food" from Houston. You've all heard of "fair food" and so forth. Rodeo food is a close cousin to fair food. There are 118 photos in this gallery. They each have a short caption. We managed to get to photo #38 before we hit the wall. 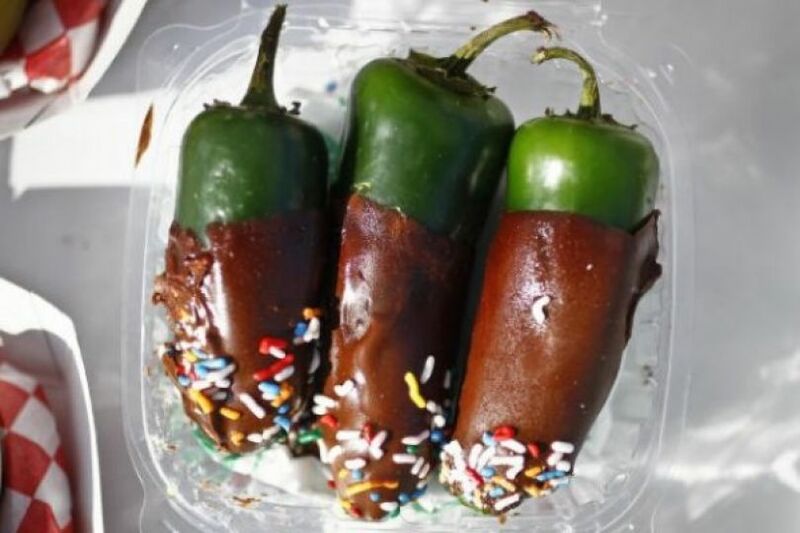 There appear to be no limits to what some people will do to food and, obviously, no limits to what people will buy when it comes to weird food. Dear Friend Pat D. actually has a bowling ball cannon here in Rimrock. 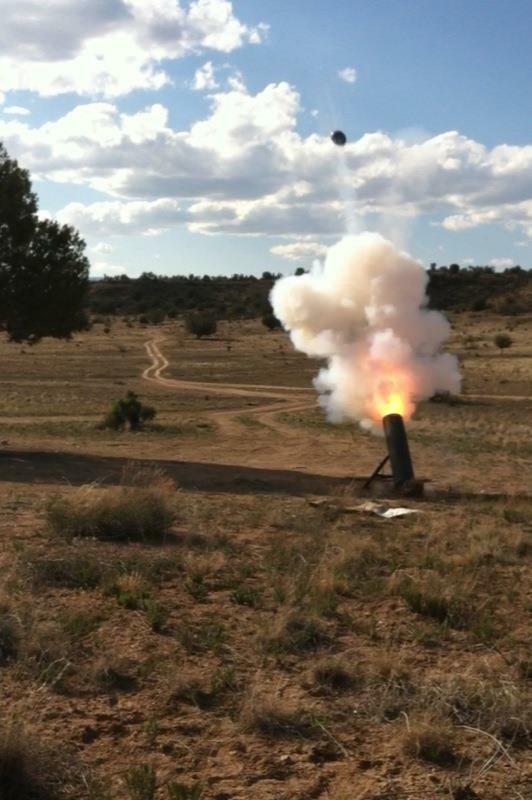 It's shown here in action just a few miles from our home. While roaming the Salt Lake paper, we found that oen of the columnists recently acquired such a device. Here's his spin on shooting bowling balls high into the air. The men's and women's March Madness basketball brackets came out yesterday. 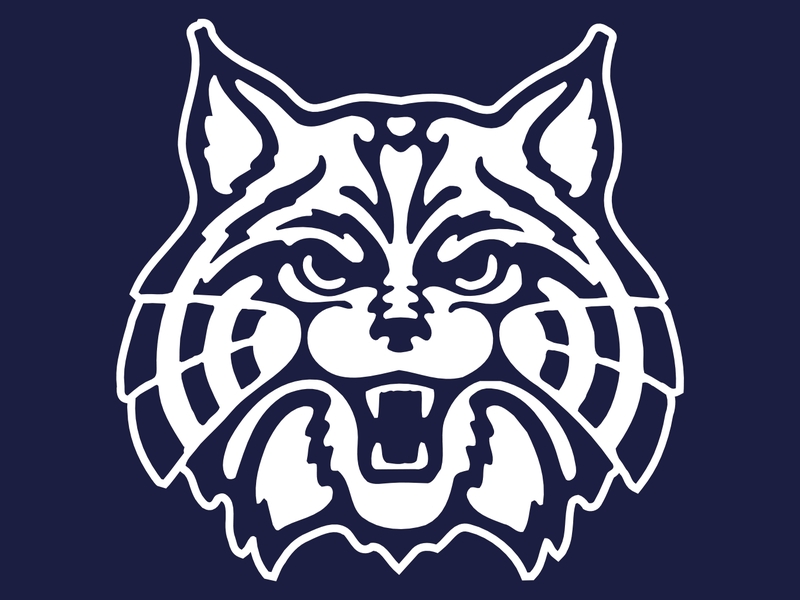 One thing's for sure in the first game between Arizona and Weber State, the Wildcats will win. Seems both Weber State and Arizona have the same nickname. There's numerous words in this foodie article I'm not real sure I understand. And, finally, we bring you a Laura Zuckerman article from Salmon, Idaho. Laura is a free lance journalist who lives there in Salmon. Much of her writing appears in "The Post-Register" in Idaho Falls. Laura is a top notch writer and we love to read anything she writes. Laura has a knack for finding appealing "human interest" stories and here is one of them that appears in the Sunday edition of "The Post-Register." Naturally, the story is Copyright 2014 by "The Post-Register" with all rights reserved. It is used here with permission. 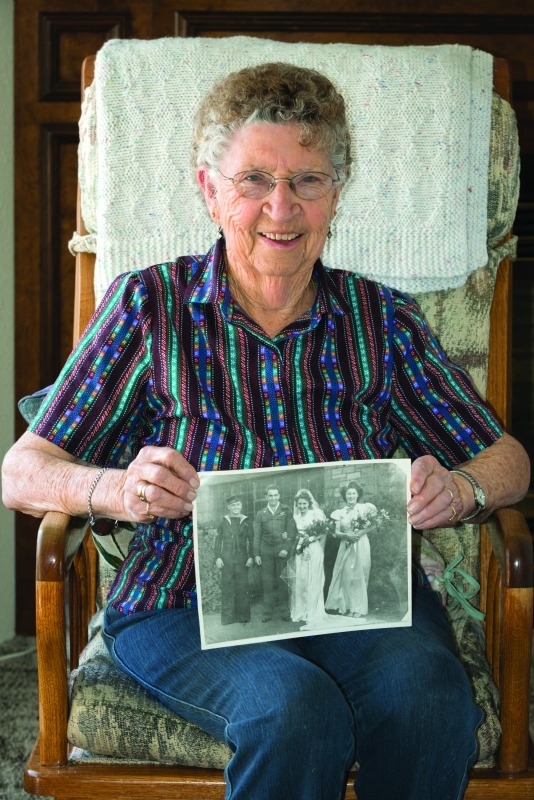 SALMON - Christina Reagle was a 17-year-old war bride in 1946 when she embarked on the adventure of her lifetime -- moving from her native Edinburgh, Scotland, to work on a Salmon ranch with her new husband. Christina, or Chris, Scott was a waitress in an Edinburgh restaurant in 1945 when she asked Leonard Reagle, a U.S. Army soldier, for a piece of chewing gum for her ailing little sister. "I said, 'You got any gum, chum?,' " Chris said. That was the beginning of a romance that would span 4,376 miles and 62 years. When the couple met, Reagle was in Scotland attending an agricultural college. At the time, he was recuperating from an artillery shell injury he suffered in 1944, during a battle on Belgium's border with Germany. He was one among thousands of American military men who brought home brides they met while serving overseas during World War II. From all accounts, Reagle was immediately smitten with the 16-year-old beauty, the eldest of six children. They married in Edinburgh in 1946. Before the ceremony, Chris was required to meet with a local judge, who sought to impress on her the gravity of the step she was about to take. "He said, 'Do any of you girls realize you're leaving your home, your families?' But I was 17 and in love," Chris said. After the marriage, Reagle finished his tour of duty and returned to the family ranch on Sandy Creek southeast of Salmon. Chris was sent to so-called war bride camp in England for 10 days before she and 3,999 other war brides sailed to New York. It would be 22 years before she saw her father or Scotland again. Those would be years of happiness in her new country, but also a time of longing for the family she left behind. Chris boarded a train in New York and traveled four days before meeting Reagle at the train station in Missoula, Mont. They spent the night in Montana before heading for Salmon, a day-long journey that involved crossing a mountain pass on a rutted, dirt road that today is known as U.S. Highway 93. "When we got to town, Leonard said, 'Here is Salmon.' I looked around and said, 'Where?' " Chris said. To a girl born and bred in Scotland's capital city, the small Idaho ranching community was spare on the restaurants, shops, towering architecture and customs that had been her backdrop since birth. The couple's dairy operation required many hours of labor. Reagle worked the ranch and drove a milk truck and Chris tended their growing family -- bearing six children from 1947 to 1956. She milked cows when the men were elsewhere. One day early in their married life, Chris asked her husband to take her to town. "He said, 'See that car over there? Learn how to drive it,' " she said. Her driving practice sessions involved running through fences and over fixed objects. But it was better than taking lessons from her husband. "We'd go to a field; everything was a stick shift in those days. If I didn't do it right, he'd yell at me. And I would shut the car off and walk back to the house," Chris said. Tragedy struck several years later, when the couple moved to work a ranch in the Pahsimeroi Valley. Their toddler, Christine, went missing one day in 1951. The girl was playing outside the ranch house, which was near an irrigation ditch. A frantic search for the 18-month-old ended when her body was found in the canal. Chris and her husband thought they would not survive the period. But Chris also had a son in diapers in need of her attention. "I can see why God gave me John when he did. I needed that baby to take care of. I couldn't sit around and feel sorry for myself," she said. The couple moved back to the Sandy Creek ranch, where they lived until they sold it in 1994. It would take a leap of imagination to envision Chris, a petite woman with a perennial twinkle in her eye and ready grin, drowning in self-pity. She is as steely and as tender as any daughter of Scotland. But don't get on her bad side. "The Scots are a stubborn people. You don't cross them because you know they'll come back at you," said Chris, who still speaks with a Scottish burr. In 62 years of marriage, Reagle was known to grant his wife's every wish -- except one. His refusal to pay for a trip to Scotland led Chris to get a job as a school bus driver to earn the money. Their daughter, Kathy McDonald of Salmon, said her father secretly worried that Chris would go back to Scotland never to return. "When my mom did go in 1968 to see her family, my dad thought his sweetheart wasn't coming back and his heart was broken," McDonald said. When Chris learned of the concern, she said to her husband, "That was the stupidest thing for you to think." Today, at 85, Chris has seen the ravages of a world war and tasted the sweetness of peace. Her husband died in 2007, but his image is everywhere in Chris's hilltop home in Salmon. "Leonard was always very good to me. I don't know how people survive without any religious beliefs. You have to have something to look forward to," she said. Though retired, Chris is not content to be a lady of leisure. She is a grandmother to 10, a great-grandmother and great-great grandmother. Chris pals around with daughter Kathy and keeps in regular contact with her four remaining children, including a son who is a well-known downhill ski racer in Sun Valley. "It's a good life and I'm grateful for that," she said.